It’s late. Like, past midnight late. You feel the rumble in your tummy and the internal struggle beings. Do you head to the kitchen and just tough it out and head back to sleep? After all, one tiny late night snack isn’t going to throw your healthy diet off. Just a little bit of soda or maybe that last slice of cake that’s on the top shelf… the tasty snacks seem to be calling your name. You find yourself trudging to the kitchen to indulge in your midnight desires. But something is waiting for you at the fridge! Jason Voorhees veers his ugly head the moment you try to open the door! Where did he come from? Is he here to turn you into his latest victim? You had better run! You scamper back to your bedroom, heart pounding, head spinning. Then, it hits you. That’s just your Friday the 13th refrigerator magnet on the door. 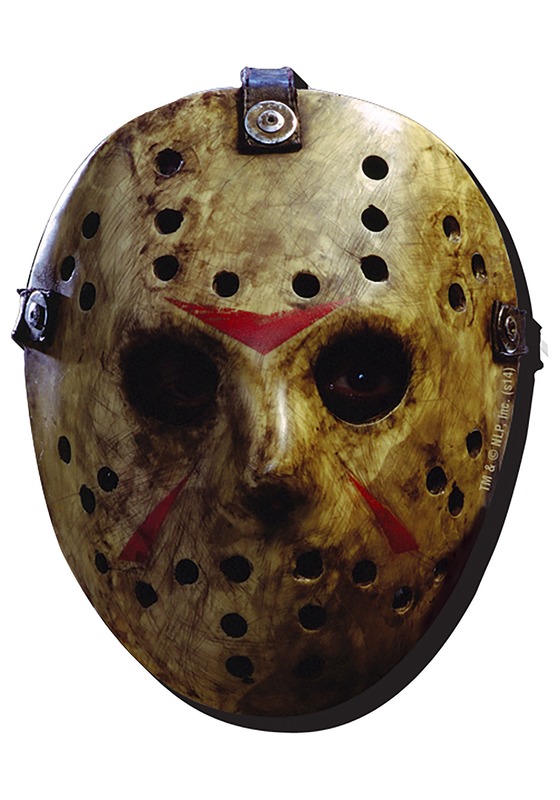 This officially licensed Friday the 13th Magnet is designed to look like Jason Voorhees’ menacing face. It has a magnetic back, so you can stick it to your fridge to scare unsuspecting victims. It also works as a great motivator to help keep you from engaging in midnight snacking! One glimpse of this magnet will make you feel like heading straight to bed without any snacks! This magnet is freaky décor that will help you get into the Halloween spirit. Just place it on the front of the fridge and you’ve Halloween-ified your home for the holiday.